If you have ever seen the movie Center Stage you will notice a minute worth of footage where ballet dancers look like they are wrecking a pair of $80 shoes, but guess again. Let’s start with the basic ballet slipper, which is soft fabric like cotton that molds to your feet the minute you wear them for a few hours, but Pointe shoes are in no way that simple. Getting fitted for your first pair of Pointe shoes when you are young is like a dream, because you will finally be able to do all the graceful and elegant moves and phrases that you have seen danced across the stage by older students, in film, and on stage. Let’s get real – you need to be ready to work harder than you have ever worked in your life. I’m not saying this to scar you or deter you from Ballet, but there is a reality that you need to understand to be great. 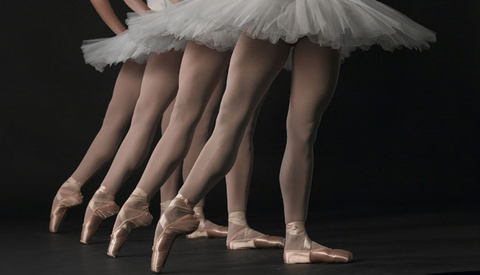 Pointe shoes are the one part that is key in your first year. It is important to go to someone who can fit you for the correct style of shoe that is necessary for your type of foot. Everyone’s feet are different. Some have incredibly high arches, others have flat feet, some have falling arches, while others have their second toe longer than the rest of their feet. These are all little nuances that you don’t think about usually buying shoes. This is why it is important to go to a shoe place that has a person who understands feet, how each style of Pointe shoe is different, and how each shoe relates to the different types of feet. There are five things to look at when buying Pointe shoes which include the shank, vamp, box, platform, and heel. The right shoe is based on the layout of your foot and will protect the delicate parts, as well as offer support to the contours of your foot. This is extremely important to prevent pain and bunions, sinking into your shoe, and forced weight onto your big toe potentially causing injury from not being over your box properly. For example, the first two toes after my big toe are longer than the rest of my toes, and the toes eventually taper down to the smallest toe on my foot. Since my two toes are longer than the rest it causes them to stick out. In my first pair of Pointe shoes, these two toes felt a lot of pressure because I was sliding in my shoe and it was causing them to curl instead of extend. The reason I was sliding in my shoe was because the profile height of the shoe was to big and I was given the wrong box type for my foot. Be sure that you have a snug fit around the box and width part of your foot to prevent the sliding as well as the right type of box. The vamp length is another spot I have seen dancers struggle. I was subbing as a ballet teacher and I noticed a student was not getting over her box, and on top of that she was sickled in what we were doing across the floor. When I looked at her foot the person who fitted her didn’t fit her properly. She had a shoe for a square box foot when she needed to have a tapered box (toes fall in line like a slant). The shank strength she had was too strong for her feet. She needed a pre-arched shank due to her flat feet to give her more support. Lastly, her vamp length was too long. She had short toes and an inflexible arch. With a vamp that is too long it also causes difficulty getting over your box. Pointe shoes are a trial and error process. Your feet change as you get stronger and may need to adjust to a new type of shoe as your feet develop, but the thing I need to harp on the most is to know your body. You are the only one that can say when a shoe doesn’t feel right. Just like the girls on Center Stage they beat up their shoes to adjust them to what feels comfortable on their feet. Now I am not suggesting you do this, but as I got older I use burn the fabric on the bottom of my box and rough up the bottom of my shoe so it wasn’t so slippery. I had friends that didn’t like how stiff the box was so they would beat it up on the floor to loosen it. Needless to say, your first stop needs to be to figure out your foot. Talk to you Ballet teacher and see what they know. If you have any doubts before you go to the store check out the website below. It will teach you how to look for the right shoe for your foot. Happy Pointe Shoe Hunting! This past week Misty Copeland was promoted to principal dancer at the American Ballet Theatre (ABT). She probably would have been promoted back in 2012 if she wasn’t sidelined for the whole season due to six stress fractures in her tibia. Needless to say, she was not the only promoted dancer this past week. Stella Abrera, who joined ABT in 1996 became a principal, as well as two new dancers, Maria Kochetkova (San Francisco Ballet) and Alban Lendorf (Royal Danish Ballet) joined ABT as principals. Did you know that at the beginning of June there were two new principals at the New York City Ballet – Lauren Lovette and Anthony Huxley? Right now, all I see in the papers, on blogs and in magazines is that Misty Copeland is the first African-American principal at ABT. My question is why is this about race? Becoming a principal dancer no matter what race or ethnicity is an amazing accomplishment. I believe that bringing race into it is only adding to the racism, segregation, and discrimination in the world. Now, sit down, hear me out, and read till the end before you judge me. 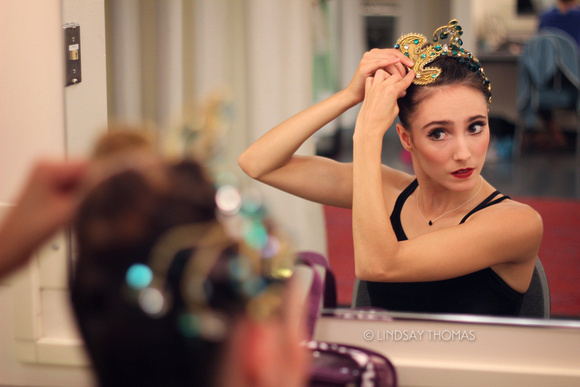 Becoming a principal dancer is a dream. A principal is the highest rank in a dance company that any dancer can receive. These particular dancers not only perform solos regularly, but also are the main casting for pas de duex in the company. It is a coveted position and is one that every dancer strives to be. Becoming a professional dancer is no easy task. It takes a lot of sacrifice that most people cannot even begin to comprehend. In many cases, students begin training at a young age and as they hit around ten to twelve years old it develops into an intense training. Student dancers who are striving to reach a professional level usually become home schooled and then spend all their free time in a studio training, rehearsing, and practicing. They sleep, eat, and breath dance. always get the role they want, they don’t always get hired by the company they want, or make the money they want, but humility, respect, and discipline are all the things a dancer gets because of these types of failures. 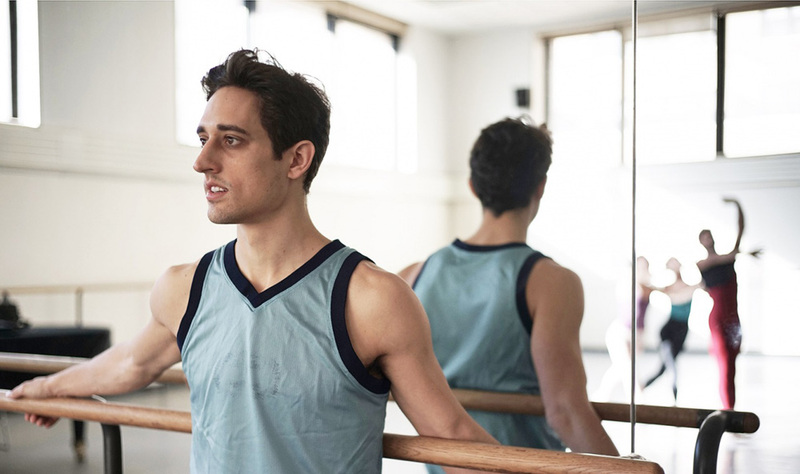 There is a respect for the art form, for their colleagues, and for choreographers that push them past their breaking point to make them better than they ever thought they could become. Being a dancer there is a risk everyday. You never know when your career is going to end. A dancer could have a career ending injury, or a company could fold (i.e. Cedar Lake Ballet last month) and that could be it. In this world, no matter what profession you are in, you need to prove your value and become invaluable. Misty Copeland is an innovator. She brought a spotlight to the ballet world through sponsorships, charity work, mentorships, and becoming a spokes person for the art form. She has become a part of the public eye and ABT would have been crazy not to promote her. Stella Abrera showed dedicated and determination to one company for over twenty years! Lauren Lovette started dance as a late bloomer and she was rejected the first time she auditioned for the School of American Ballet (SAB). Anthony Huxley has been with NYCB since 2007 and started in the SAB in 2002. That’s thirteen years with a company starting as a child! These talented, young, and thriving principal dancers have so much to offer the world, but all of this accomplishment has been shadowed by the issue of discrimination. The definition of discrimination is the treatment or consideration of, or making a distinction in favor of or against, a person based on the group, class, or category to which that person belongs rather than on individual merit. This does not only include color, but there are other forms of discrimination out there like income, gender, or ethnicity. My father had to sneak around to play with his friends as a child because of where he lived. There are all types of discrimination out there. The sooner we as a society stop looking at things such as color, ethnicity, income, and gender as a threat or out of fear, the sooner we as a society are going to grow and hirer the best people for the job.